On Sunday, I joined the RIT study abroad students for their day trip to the Pelješac Peninsula (the primary wine-producing region in this area), and Kor&#269ula Island, which is just off the end of the peninsula. Still, I was happy to have a chance to finally see some of the vineyards. We made a stop along the way at the Vukas Winery, where we tasted both their wines and their various flavors of rakija. 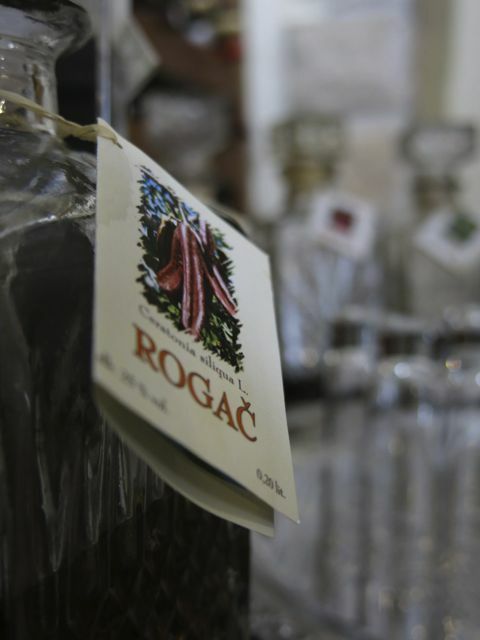 While I didn’t buy any, I did very much enjoy the cacao-flavored (rogač) rakija. I’ve also found that I particularly like the walnut version (known as orahovača), but Vukas didn’t have a bottle of that. 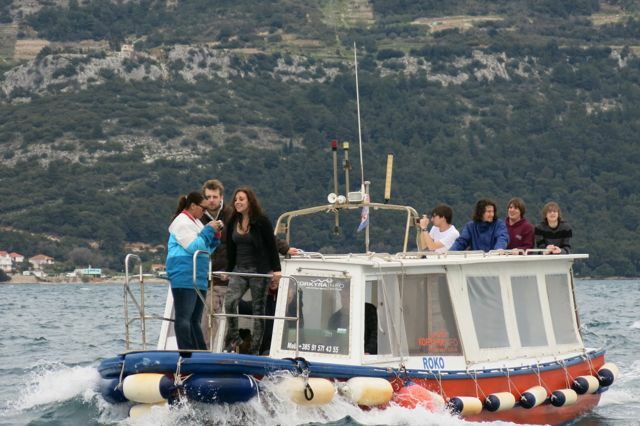 After the winery stop, we took a small boat from Orebi&#263 (a town at the end of the peninsula) to Kor&#269ula. Our timing was unfortunate, because in addition to the less-than-balmy weather, it was a Sunday during the off-season, which meant that nearly every business in the town was closed. We had a lengthy tour of some of the historical sites, including the cathedral and the icon museum. 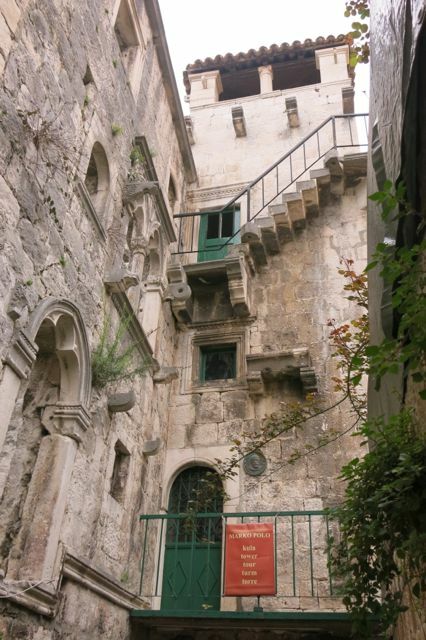 We also visited the exterior of a house that the Croats allege was the home of explorer Marco Polo; apparently there’s some controversy about the legitimacy of this claim. After the tour we finally found a few open restaurants and had lunch, then wandered the town for a bit before heading back to Dubrovnik.